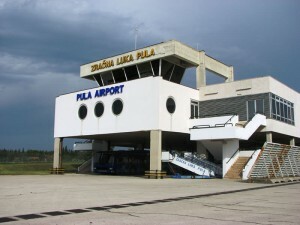 The Pula airport is situated approximately 7 km from the city centre of Pula. From the Airport to Medulin there is about 13 km. Other holiday cities close to airport include, Banjole, Premantura, Liznjan, Fazana. 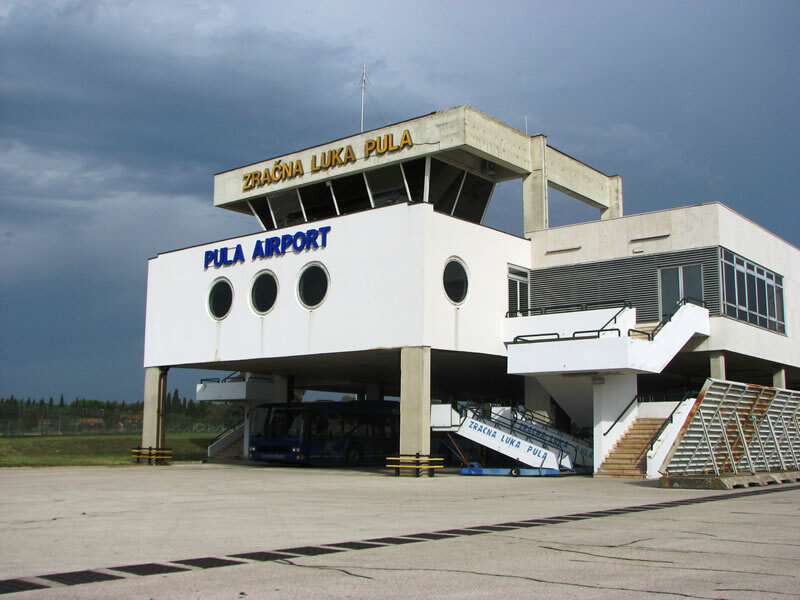 Getting to and from Pula Airport: Airport bus: From Pula Airport there is shuttle bus to Umag, Rovinj, Porec, Novigrad, Rabac, Medulin, Fazana and Pula Main bus station as well as Pula Verudela and Puntizela, the bus departures 30 minutes after arrival of Germanwings, Ryanair, Norwegian and Jet2.com flight. The airport bus leaves in front of the terminal building, you can find departures and buy your ticket for the airport shuttle bus here. If you are travelling to the main bus station in Pula you can continue to your final destination with taxi or city buses which goes to most parts of town, you can see timetable for the city buses here, (Bus Kolodvor = main bus station). From the bus station you also have connections to other cities in Istria and to cities like Zagreb, Rijeka, Split. Rent a car: At the Pula airport you have option to rent a car from local as well as international car rental companies, offers for car rental at the Pula airport you can find here. Accommodation in Pula: The accommodation offer in Pula range from cheap hostel beds to 4 star hotels, if you have not yet found your accommodation in Pula you can find a large selection of apartment, , hotels, hostels and bed and breakfast by clicking on the Icons.